Starting a business in China? Giving a power of attorney? home studies and other legal papers. New Mexico and American Pacific islands) and will be used in China. the document is been issued. How we can help you authenticate your document(s)? 2. One truthfully completed Authentication Application Form; Click to view. 4. A copy of the applicant's ID - e.g. valid passport, driver's license. 5. Payment to Able Tours - We accept money order, company check or credit card. (click here for instructions & credit card authorization form) * Do not send cash when applying by mail. 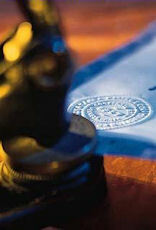 Including those certified and notarized by the Clerk of County and the Secretary of State. 4. A copy of the applicant's ID: e.g. valid passport, driver's license. 5. Payment to Able Tours: We accept money order, company check or credit card.